Essential guitar utilities, including an amazingly accurate tuner and a library of over 500,000 chords, all on your iPhone or iPod touch. One of the highest rated applications in the App Store. – Direct support for 6- and 12-string guitar, 4-, 5- and 6-string bass, banjo, mandolin, and ukulele with a full chord library, standard and alternate tunings for each instrument. 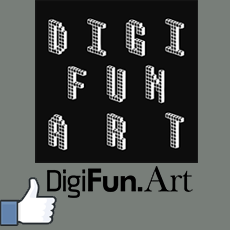 – Highly accurate chromatic tuner using the iPhone microphone (or iPod touch with microphone headset). – Precisely accurate metronome with a visible flash option, tempo tap pad, 13 sound effects and 12 time signatures. – Massive chord library (over 500,000 chords) for quick and easy reference: strum chords to hear what they sound like. 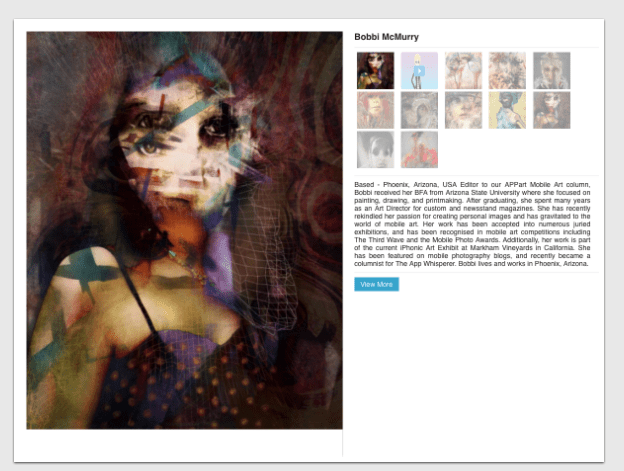 Includes chords for alternate tunings. 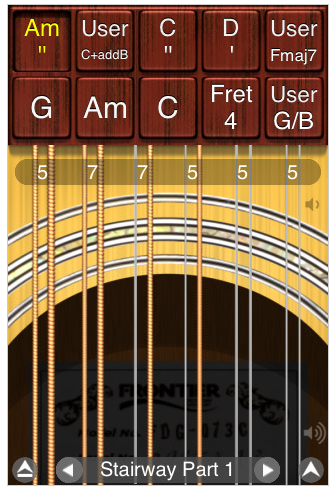 – Chord finder: simply touch the notes on the fretboard that make up a chord, and GuitarToolkit tells you what that chord is! This is a lot of fun and a great way to learn about those great-sounding chords you’ve been playing. 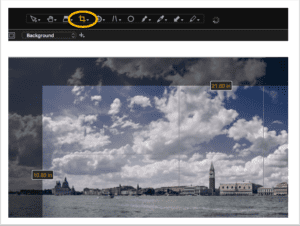 – Scales references in standard or alternate tunings: use the interactive fretboard to touch each note and hear what it sounds like. – Supports “lefty mode” which adjusts chords and scales to reflect a left-handed instrument. Essential guitar utilities, with a steam-punk themed twist! 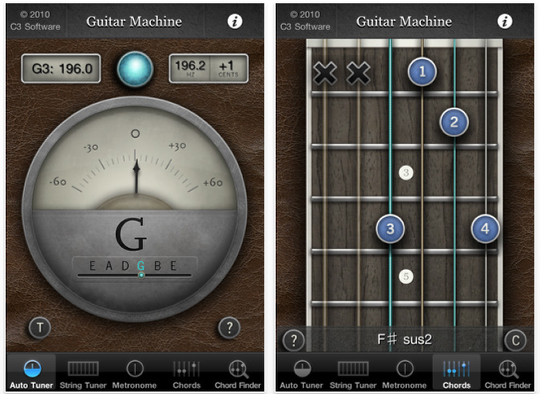 Guitar machine is the ultimate assistant for tuning, timing, and chords, for the steam-punkishly minded guitarist. 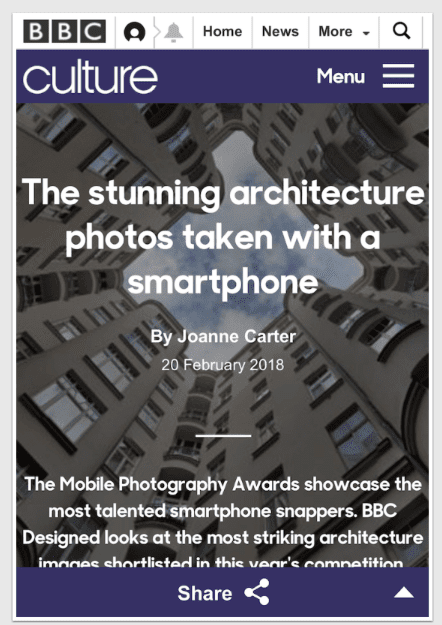 – Simply *THE* most accurate chromatic tuner in the entire app store! No other tuning app is as accurate as this tuner, guaranteed! Beats the competition with accuracy in the sub-cent range (the human ear can almost never hear differences beyond this range, so it’s perfect!). – Auto-tuner is highly intuitive — The UI is geared towards both chromatic tuning and string-based tuning simultaneously with a beautiful intuitive interface. The top dial allows you to tune with sub-cent precision, while the bottom ‘string track-light’ lets you know where you are relative to a real string (just in case your plucked string is way off). If you decide to use the string-based approach, over 40 alternate tunings are supported! Or, you can tune to ANY pitch with the chromatic tuner, with extreme accuracy. 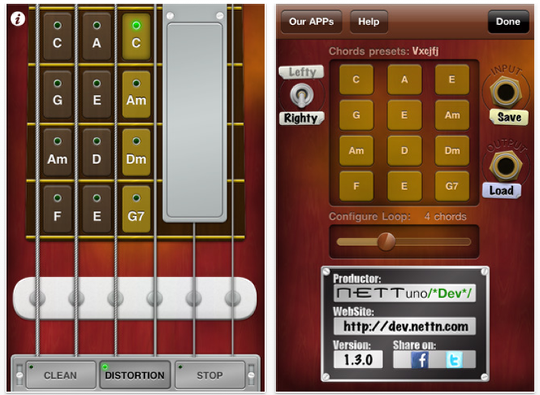 Along with several guitar sounds, you can also play Electric Bass and Ukulele in this app. 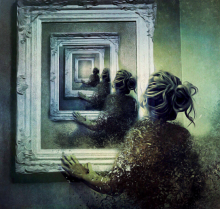 You can also create various sounds by using effects such as Distortion, Chorus, Delay and Wah. 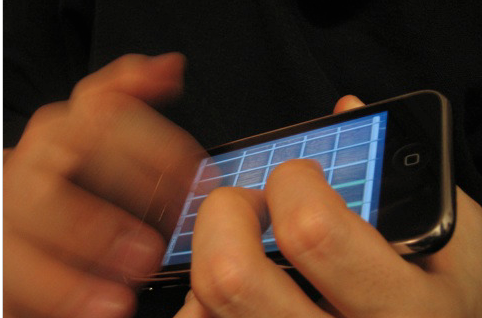 If you’ve ever wanted to know every note on your guitar, then this little app is for you. I designed this based on my own need for a good way to solidify my note knowledge, and I believe it will help you gain a master of the fretboard as well. 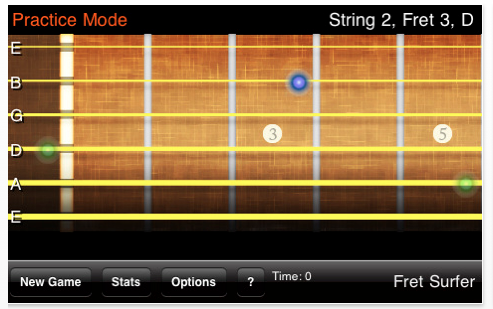 Fret Surfer works through two game modes: finding a fret when given a note and a string, and finding a note based on a given fret. 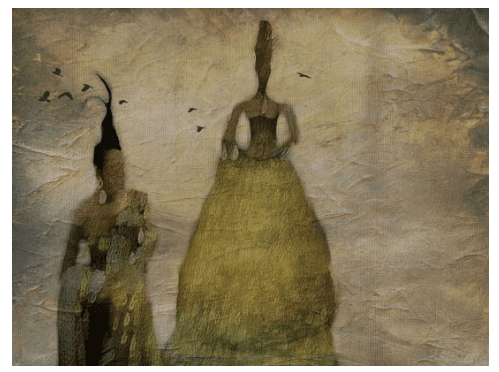 The game is highly customizable, with options for which notes and strings to quiz, number of questions, and how much time per question. Alternate tunings and left-handed mode are also available. Statistics let you know which areas of the fretboard to focus on to maximize your learning. Don’t fear the fretboard — conquer it one scale at a time with Guitar Jam Tracks: Humbucker Blues! Imagine having the confidence to sit in with any musician or band, anywhere – no matter what key they are playing in. Imagine being able to close your eyes and let your fingers dance all over the fretboard, never worrying about where to put them. It’s not even a question – with enough practice, you WILL achieve these things; Guitar Jam Tracks will just help you get there FASTER. Experiment with soloing in 14 keys as you learn the foundations of great guitar playing with Guitar Jam Tracks: Humbucker Blues. 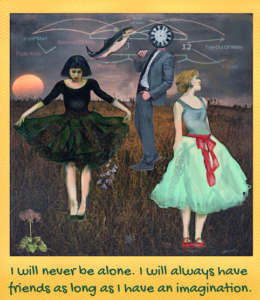 This app features a juicy I-IV-V electric blues Master Track recorded in 14 different keys for you to practice. Every key includes a list of chords played in the progression, along with zoom-able scale charts that show you exactly where to put your fingers on the fretboard. Mastering your scales has never been easier! There is nothing more impressive than an incredible guitar solo. But let’s face it – becoming an incredible guitarist is not easy! Like every great skill, it requires plenty of practice and dedication. Luckily, Guitar Jam Tracks is designed to make that part a lot easier, and more fun too! 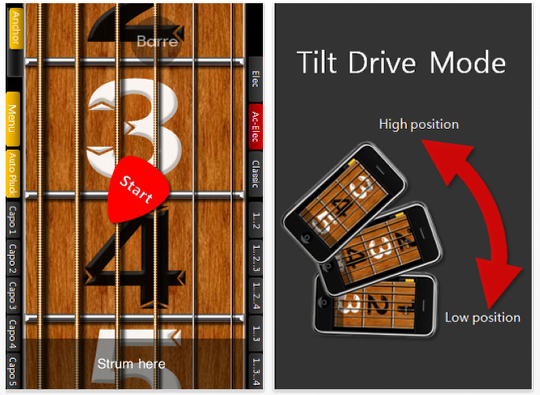 You can move the fretboard easily by rotating your iphone/ipod. And you can press barre chords very simply. – If the sound is unstable, try again after closing big apps running in the background. Find, play, and hear over 1,300 guitar chords, absolutely FREE, on the app store’s best interactive chord book for guitar. Strum to hear any chord played out loud, or pluck individual strings to pick out individual notes, with 22 complete fingerings for major, minor, seventh, diminished, and augmented chords, just to name a few. Move up and down the fretboard with five inversions for every chord in all 12 keys. Tune up with ease with a built in tuner. Songwriters: find inspiration in the rich, on-board sound. Plug in some headphones, study up, and work on your technique wherever you are. 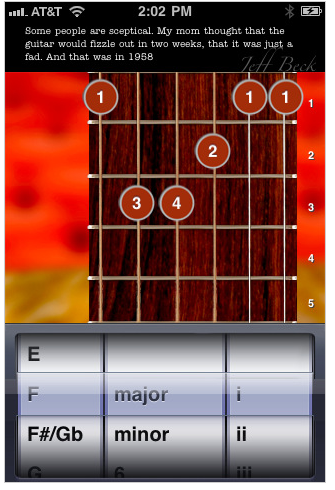 Learn and play your favorite songs with Guitar, the amazing acoustic guitar app for your iPhone or iPod touch. More than just a virtual fretboard, Guitar is an instrument optimized for performance. 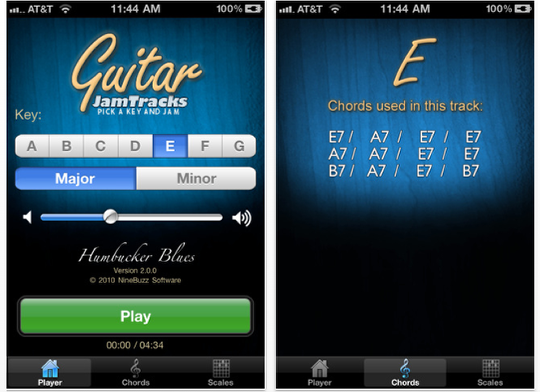 You can perform songs with any combination of chords and melodies on Guitar’s highly playable and easy-to-use interface. Gibson Guitars, known worldwide for producing classic models in every major style of fretted instrument, including acoustic and electric guitars, mandolins, and banjos. The Gibson Les Paul guitar is the best selling guitar of all time and bears the name of the late, great Les Paul. 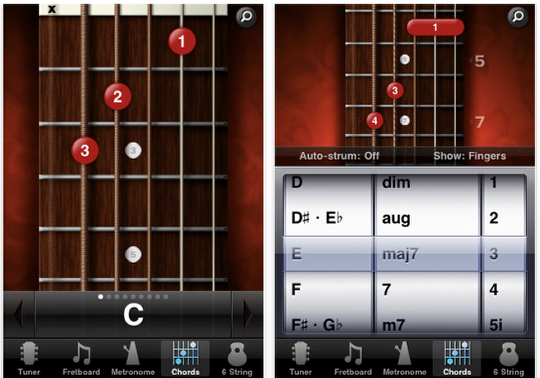 Now you can have Gibson on your iPhone with the Gibson Learn & Master Guitar App. Gibson has partnered with Legacy Learning Systems, producers of the Learn & Master Guitar course, the most comprehensive guitar instructional series on the market, to provide you with a must-have application for any guitar player. This application provides you with essential tools to help you become a better guitar player as well as free full length lessons from the award winning Learn & Master Guitar course that will take you from beginner or intermediate to advanced. 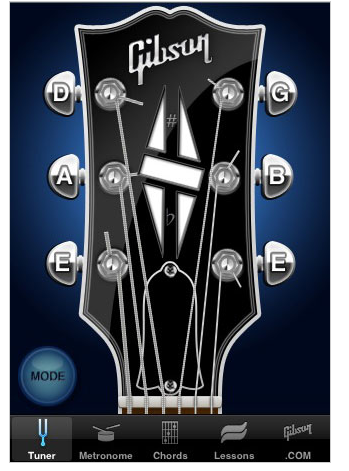 Check out please Real Guitar app http://itunes.apple.com/us/app/real-guitar/id424059280?mt=8&ls=1 It’s a new guitar simulator app. I think it’s not worse than those in your selection. 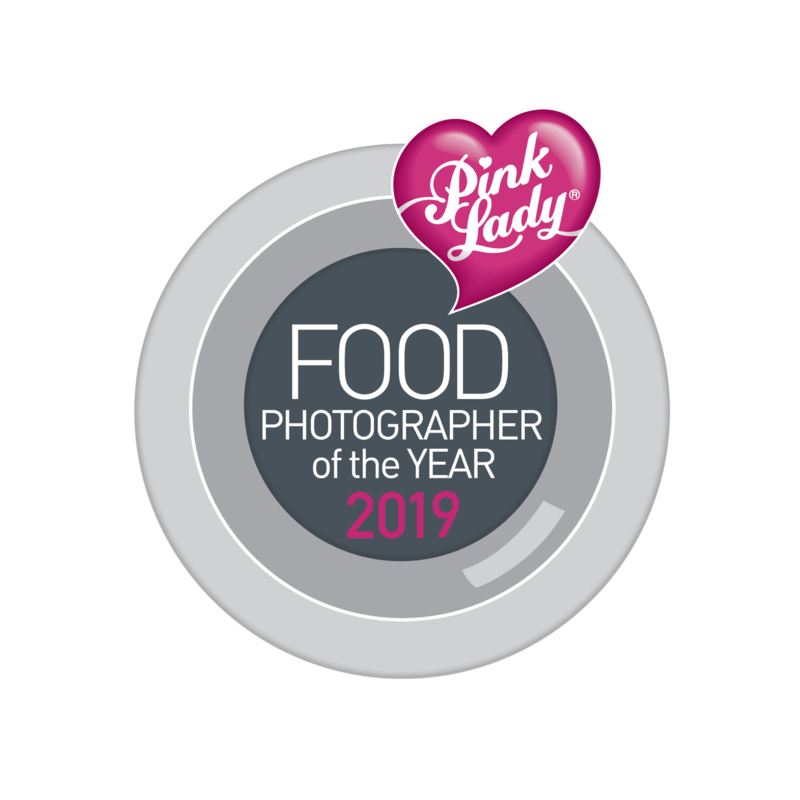 If you decide to review it, please feel free to contact me for a promo code.